The moving vans have arrived and the Obamas are gearing up for the transition to their new home in the Kalorama neighborhood of Washington, D.C. 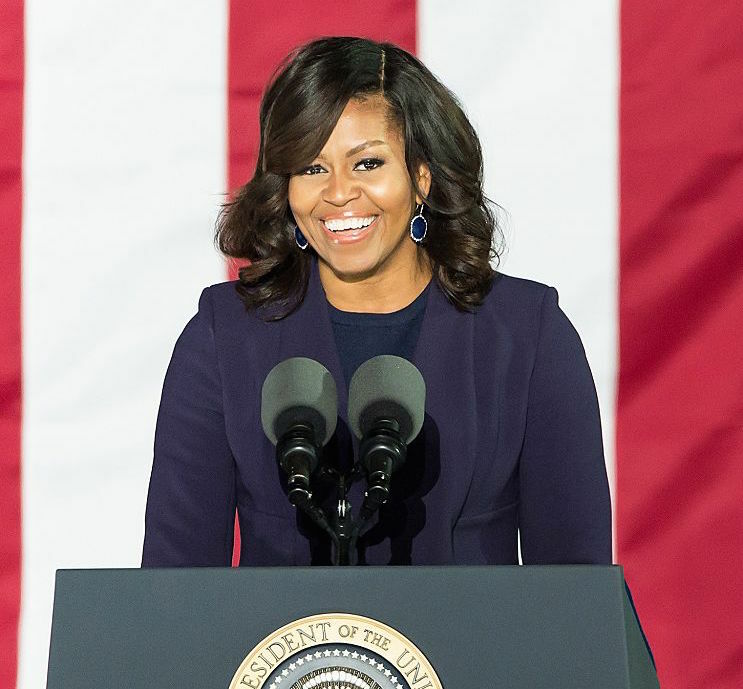 So of course, Michelle Obama took one final stroll the White House — and she has us in tears. In a video posted to her Instagram page earlier today, FLOTUS and the Obamas’ two dogs, Sunny and Bo, walk the hallowed halls of the People’s House in a memorable, but clearly emotional, tribute to the eight years the family has spent living there. “Taking it in” one final time, Michelle passes through different rooms in the house, gazing on portraits of presidents past and, presumably, locking in the many memories the Obamas have made there. Oh, how we’ll miss this glorious first lady! Though the Obamas will remain in the White House until Friday, they’ve already begun to move their belongings into their gorgeous new D.C. home (they’ve decided to stay in the capitol while Sasha finishes school). WUSA9 reporter Bruce Leshan spotted one of the family’s moving vans earlier this week, sharing this photo on Twitter. We’ll leave you to it then, Mr. President!